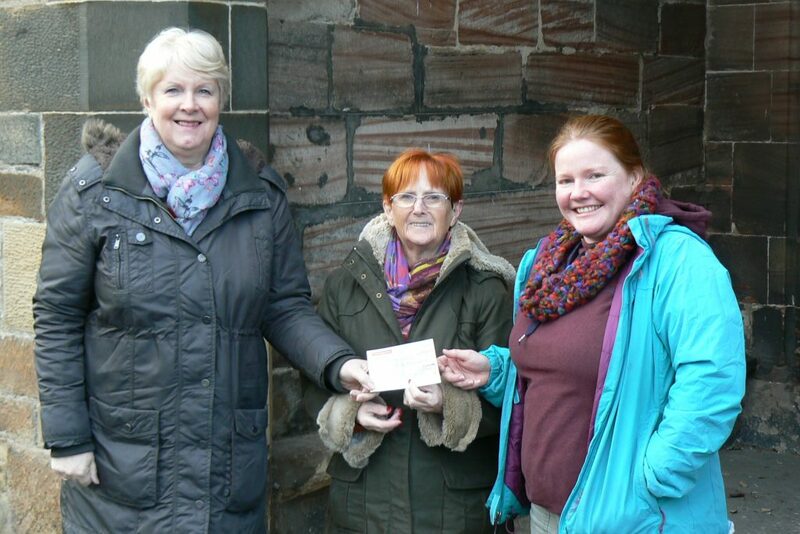 Donna Strachan (right) and Margot Russell (centre) from Art Club receiving the cheque from Dalkeith Singers Chair, Irene Fox (left). Photo: Natalie Harmsworth. The Dalkeith Singers performed to a capacity crowd at their Christmas concert on Saturday 9 December at St. Nicholas Buccleuch Church, Dalkeith. The theme this time was ‘Christmas, and all that Jazz” and as the title might suggest, the programme was a Christmas celebration with a little twist of Jazz! The central work in the first half was Chilcott’s ‘A Little Jazz Mass’, which creatively combines the traditional Latin mass text with the jazz idiom. Despite its ‘easy listening’ vibe, this was by no means an easy work in terms of rhythmic and harmonic content, and the Dalkeith Singers tackled it with aplomb! The Chilcott work was bookended with other well-known jazz standards, while the second half of the performance incorporated more traditional Christmas pieces along with some audience participation during the sing-along carols. The Dalkeith Singers were delighted to be joined by three guest musicians for the concert: bass guitarist, Bob Miller and drummer, Neil Wilson, who ably supported the jazz numbers. Then, after the interval, the audience were treated to a set by the award-winning trumpeter, Bede Williams. This might be a drop in the ocean for a larger charity but for us this kind of donation is a whole new project. It’s employment for local artists and is channelled directly into supporting the next generation of Dalkeith to be all that they are capable of. Thank you Dalkeith Singers!!! Looking ahead, The Dalkeith Singers have other exciting developments in the pipeline, not least a performance of the Armed Man Choral Suite in spring 2018, and further ahead a large-scale collaborative performance of Brahms Requiem with the Pentland Singers in 2019. Find out more about the work of Art Club here: www.ingingerness.com/artclub. © 2019 The Dalkeith Singers | the choir for Dalkeith and the surrounding area (SC032339). The Dalkeith Singers gratefully acknowledges financial support from Midlothian Council.